I've said it once. I'll say it again. Decluttering does the soul some good. This is part of my quest for more happiness that I started (well restarted at the beginning of the year). 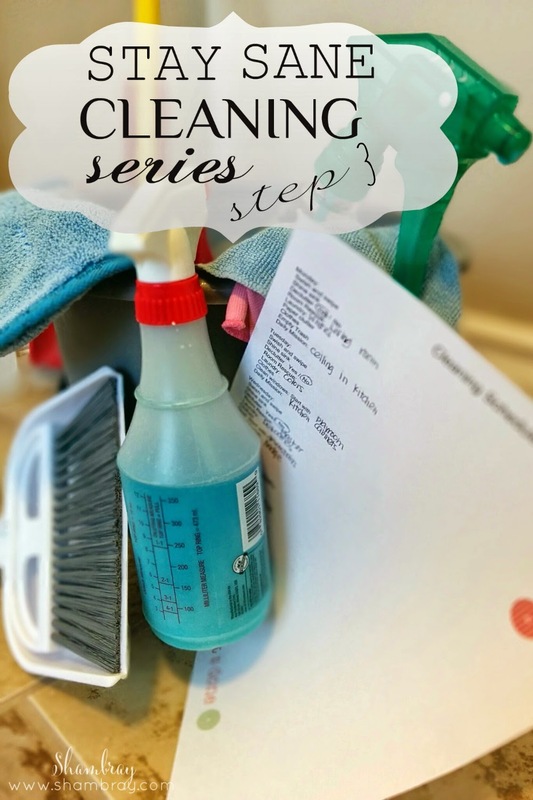 I wrote a post on an easy way to declutter. I declutter the items on the calendar that I talk about on that post and then I add a bit more to it. I declutter about 1 hour a week. You could split this over the 7 days in the week or put larger time chunks on days that are less busy. That is what I do. I split the hour over 4 days, 15 minutes each of those days. I do not put decluttering on my calendar on days that are typically more busy to begin with. I declutter whatever is currently bothering me that week. It can be the same for a month or it might change weekly. Either way I am getting rid of stuff or at least organizing it better so that it makes more sense and "feels better". I think the main key for this step is to set your timer. Like I said in the initial cleaning schedule post, your timer will become your best friend. You need to use it to make sure you do not get burnt out. 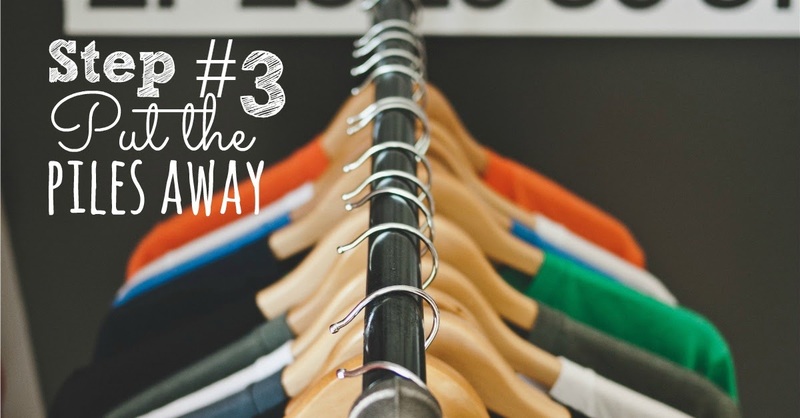 Go through every item, item by item on a specific area and either decide to throw it away, donate it, or keep it. If you decide to throw it away then do that right away. Always have a trash can/bag nearby. If you want to donate it then have a donate pile. You can take the pile daily to donate. I let mine grow until it is reasonable and then bring the whole pile to be donated. If you do it this way make sure that you bring it before that pile becomes too overwhelming. If you want to keep it then make different piles. Make piles for different areas in the home that you want to bring the items to stay. This is what I call that item's "home". If you make piles then you won't be running up and down the stairs 100 times. Put the piles away by bringing the items to their "homes", throwing them away in the trash, or either putting the donated items in a pile that you are keeping to donate at a later time or bring it directly to your car to donate. The decluttering step is actually simple to explain, but it can be hard to do. It is sometimes hard to get rid of things. 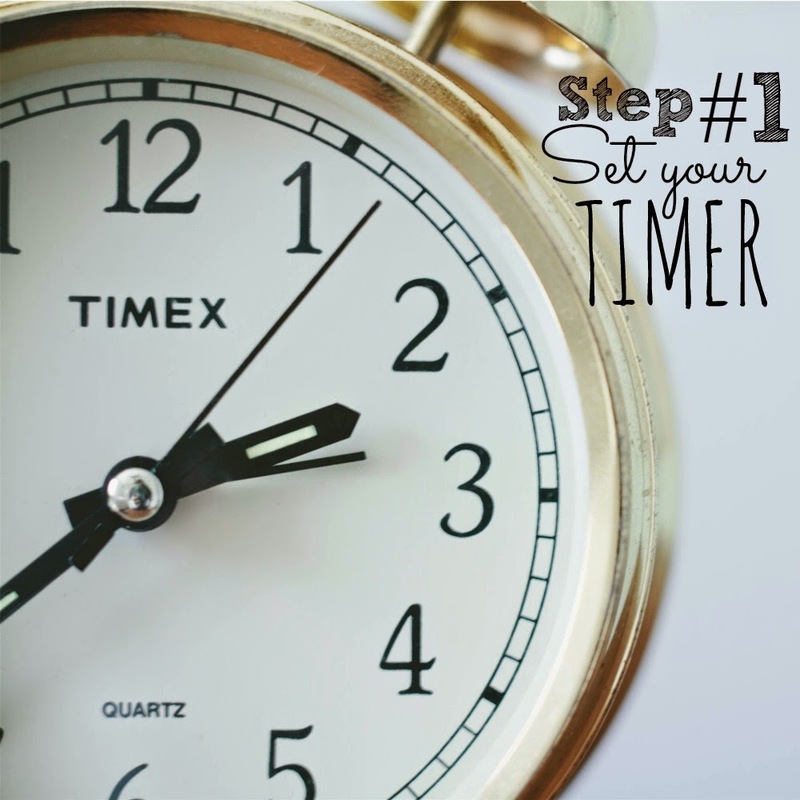 It also can be hard to decide where to put things you are keeping, but if you set your timer and do a little at a time you will be feeling better in no time. I have linked up with The Party Bunch, Your Turn to Shine, Thrifty Thursday Link Party, Handmade Hangout Party, Flaunt it Friday, Frugal Friday, Inspiration Gallery Link Party, The Link Party Palooza, Frugal Friday!